Doesn't look that bad from this angle? We were stuck on this stretch of road for 20 mins to move a total of 400 meters. 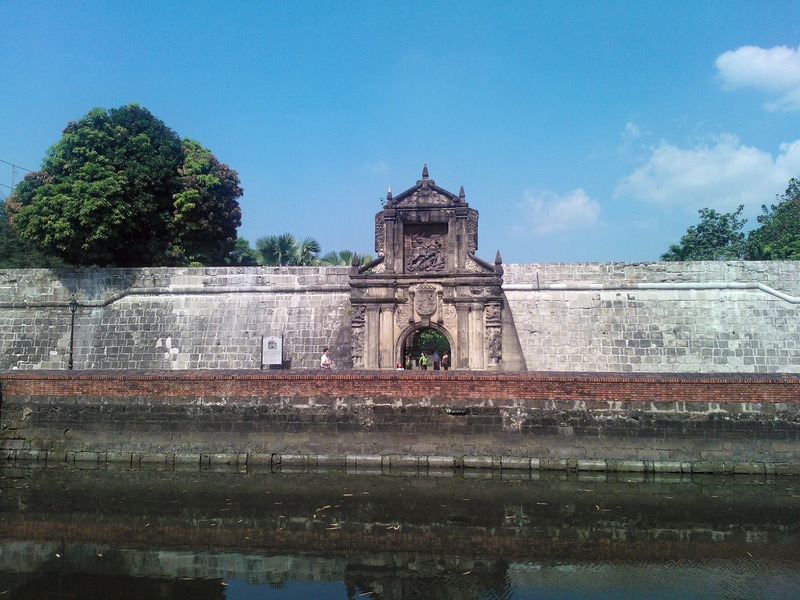 Because we moved from the Philippines at such a young age (my brother and I were both under 10 yrs old), I don't remember much of the sites or history of the country. 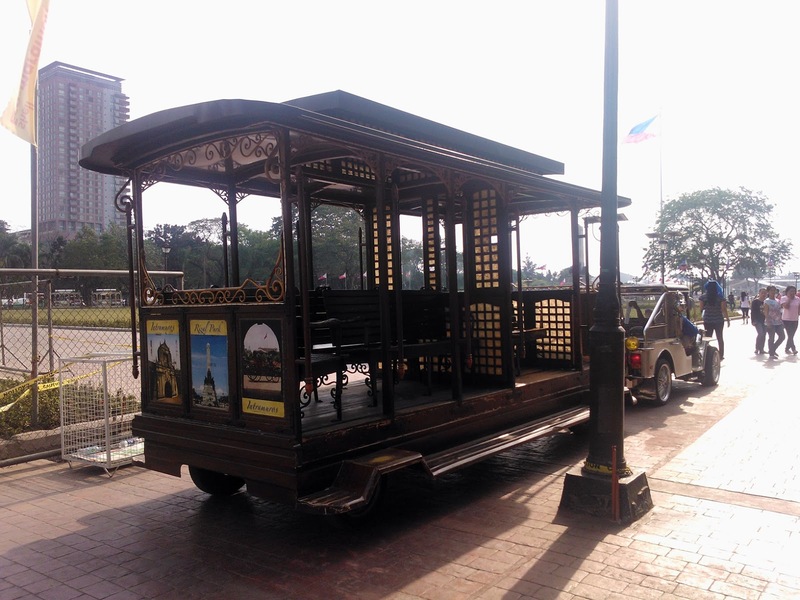 I couldn't help but feel slightly embarrassed about that fact so we asked my cousins to take us around to get to know Manila. 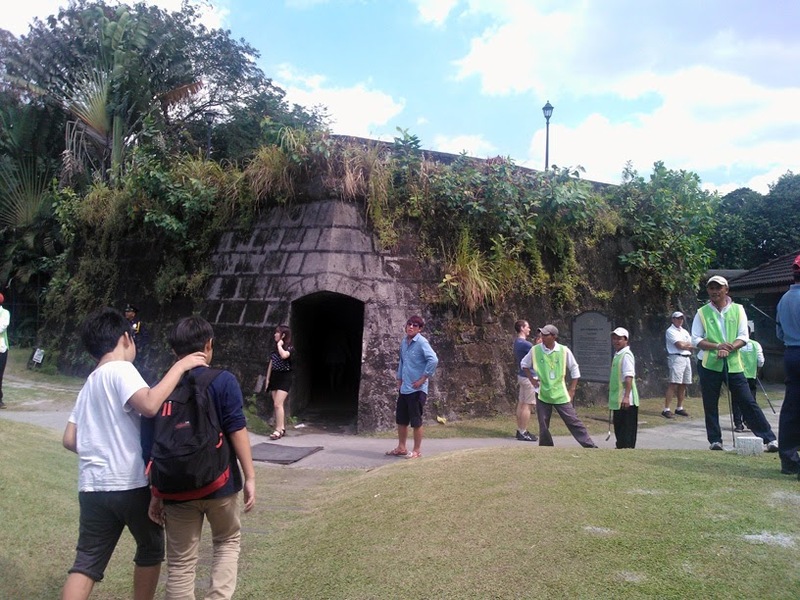 First stop - Intramuros. 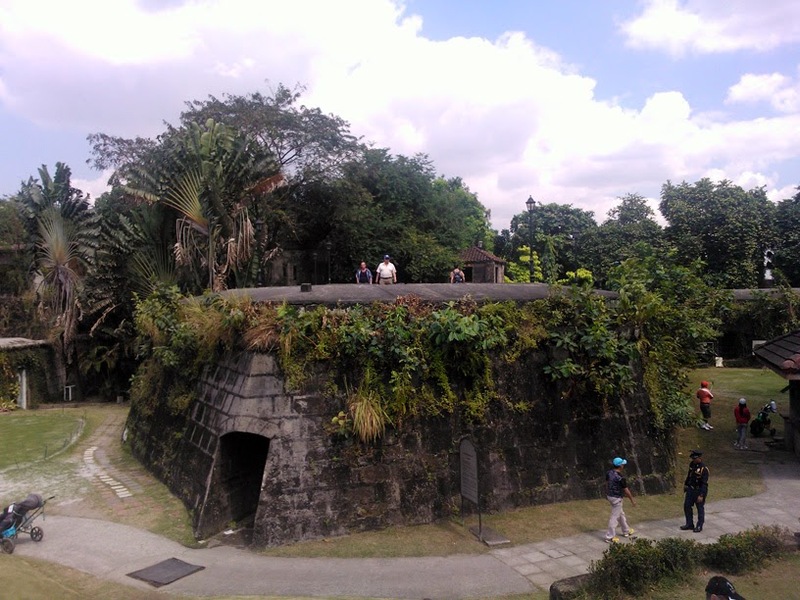 The finals moments of José Rizal's life (the national hero of the Philippines). 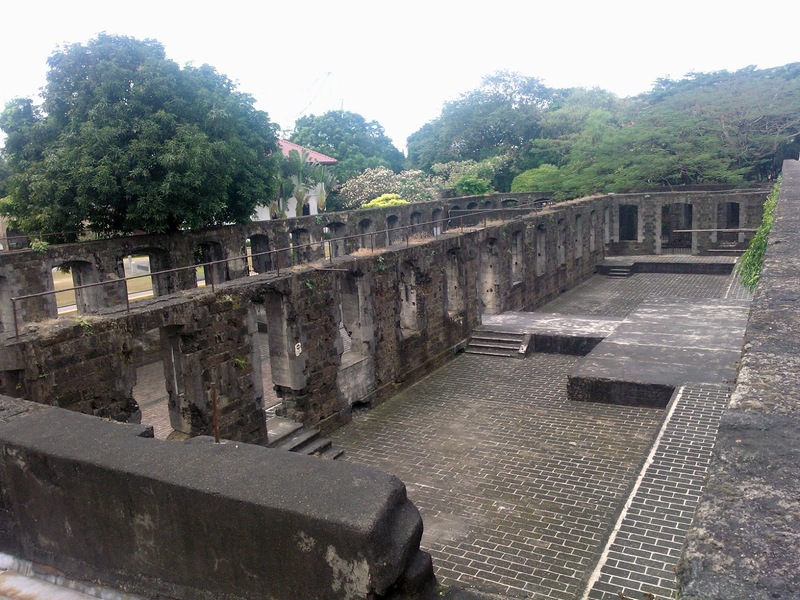 He was imprisoned in Fort Santiago. 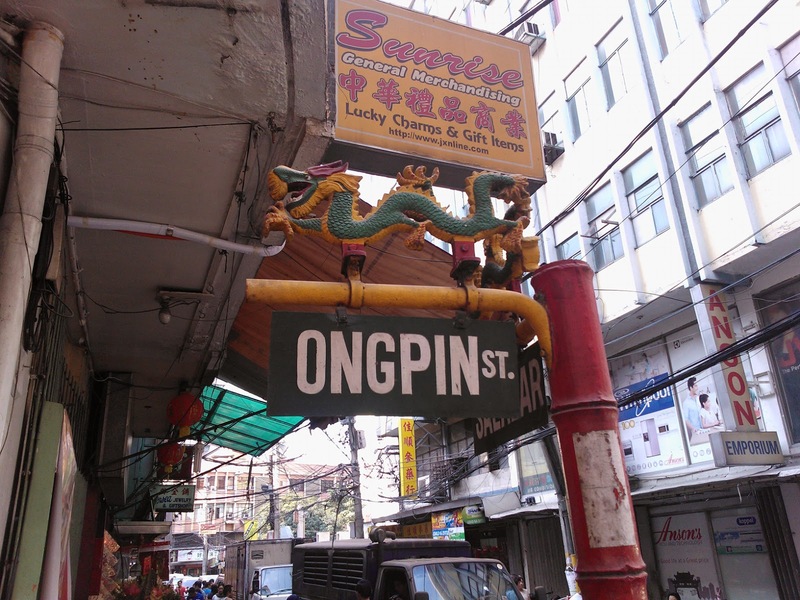 After Intramuros we headed to Ongpin (the world's older Chinatown) to grab a bite to eat and check out the Chinese New Year preparations. In retrospect... I should have taken more photos of the area... when will I ever learn? Wires. Obsessed withe the jumble of wires everywhere! Screw driving, we're walking. Those vehicles on the left side are not parked cars my friend. 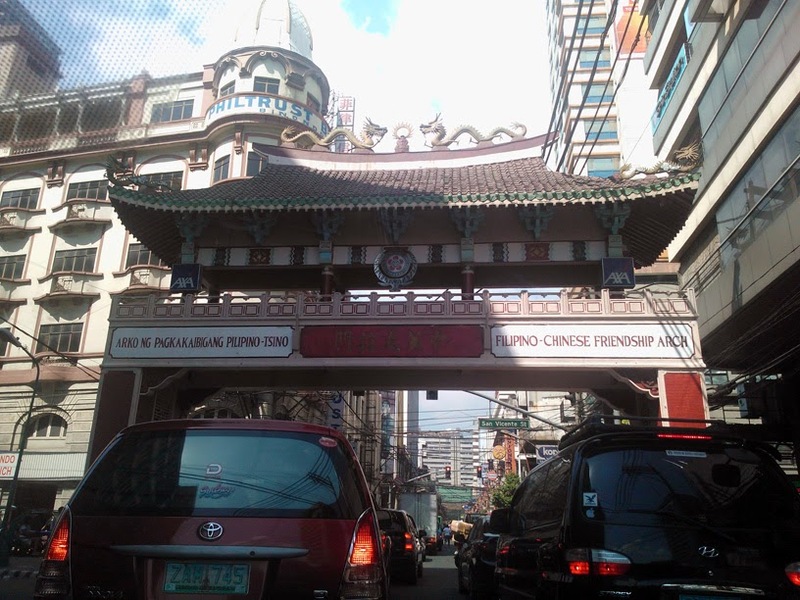 We weren't present for Chinese New Year in Manila but take a look at this video to get a glimpse of what it would have been like. 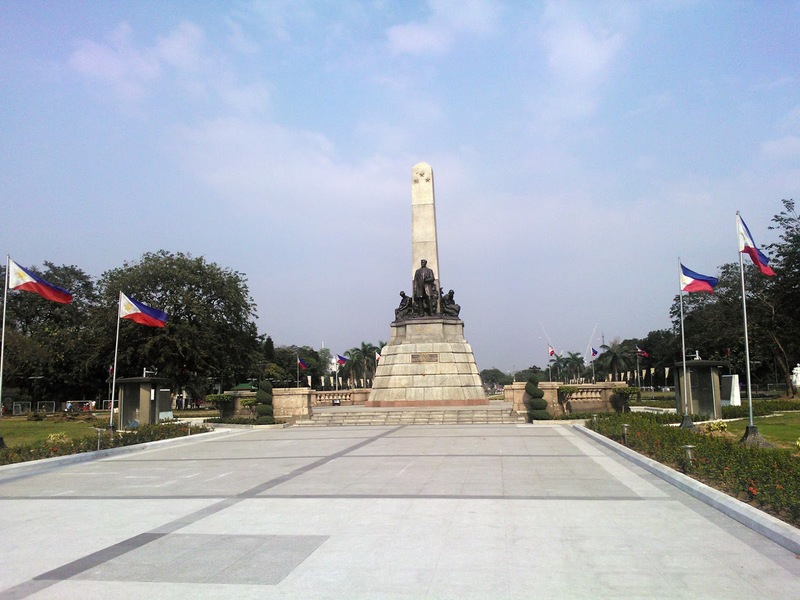 The next day we went to Rizal Park or Luneta Park. 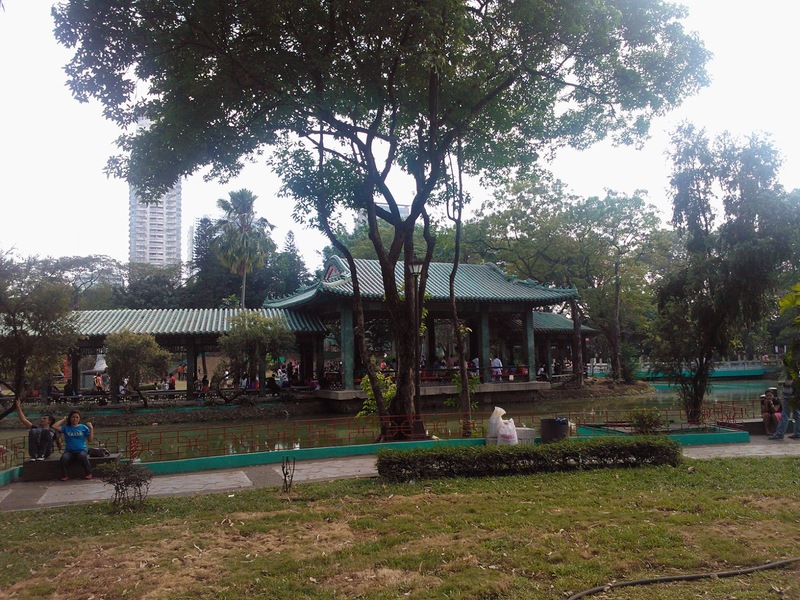 I've only been to Luneta Park once as a child and I thought it was the most spectacular place ever! It was for a school field trip where we walked around visited the Chinese Garden. Ever since then, I've longed to go back and see if it was truly that magical. As children we didn't get out of the house much and was not allowed to play with the local kids, much so gallivanting in public without the supervision of nannies, my grandmother and my parents. The usual excuse was: "it's too dangerous to go outside." and that was that. What can I say... my parents were overly concerned and protective. Was it as magical as expected? The park was everything I have hoped for but sadly the Chinese Garden was not well maintained and left me feeling cheated with all the big talk I've told my hubster about it. Ah well. 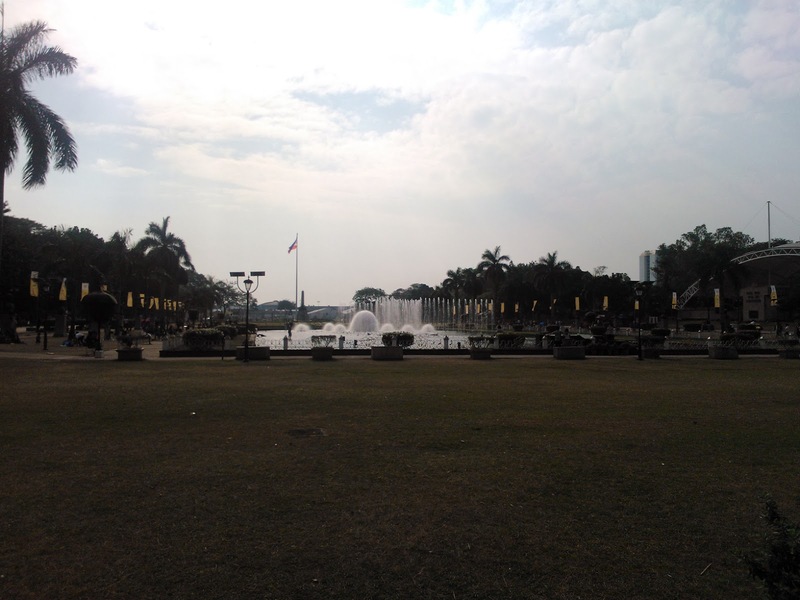 I was still thrilled to visit LUNETA!!! 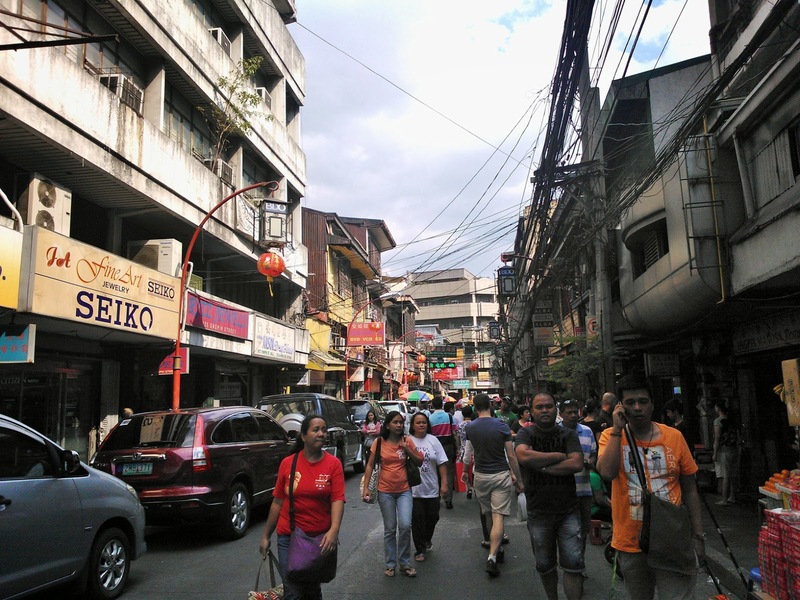 Next up - the hubster and balut and the Hong Kong chapter. I love to travel! Whenever we get a chance, the hubster and I pack our bags and go! This year started out with a bang (2 bangs to be exact - more details on that later) with an awesome trip to Asia. Philippines, Hong Kong and Macau to be exact! It's been a long time coming since we've been envisioning going back to my birth country, visiting the surrounding areas and my husband finally meeting my family overseas. The last time I've been back was in 2006 and it was high time that we finally did it. The main reason for going was for my cousin's wedding. It was spectacular! 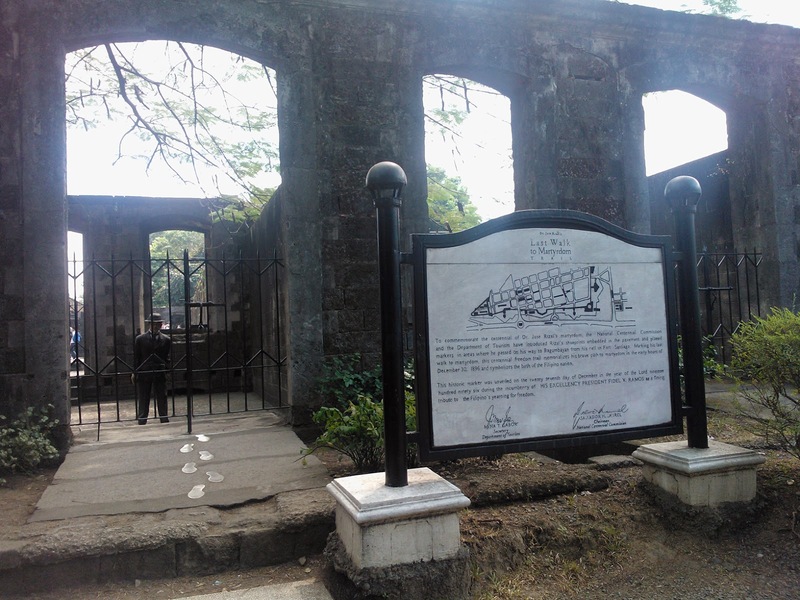 The ceremony was held in San Agustin Church a stone church built by the Augustinian Friars in the 16th Century within the historic walled city of Intramuros, Manila. 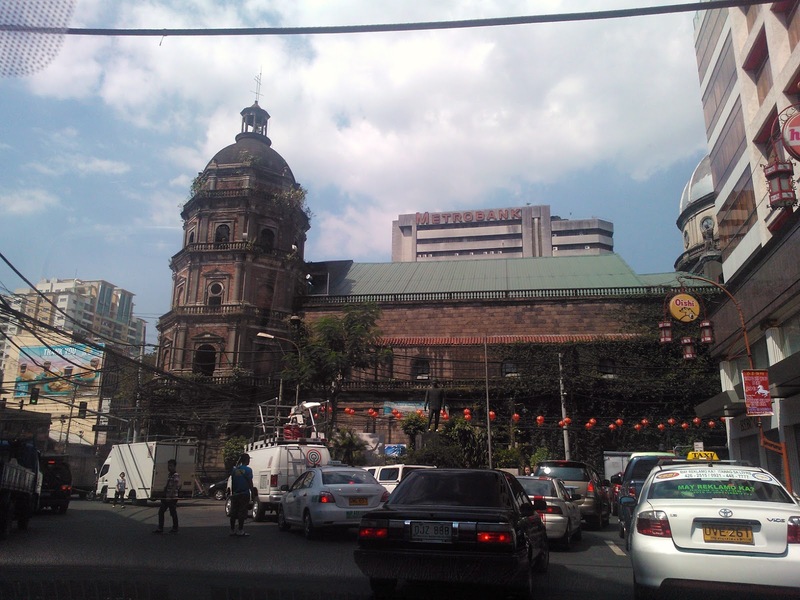 The church is also one of UNESCO's world heritage sites. 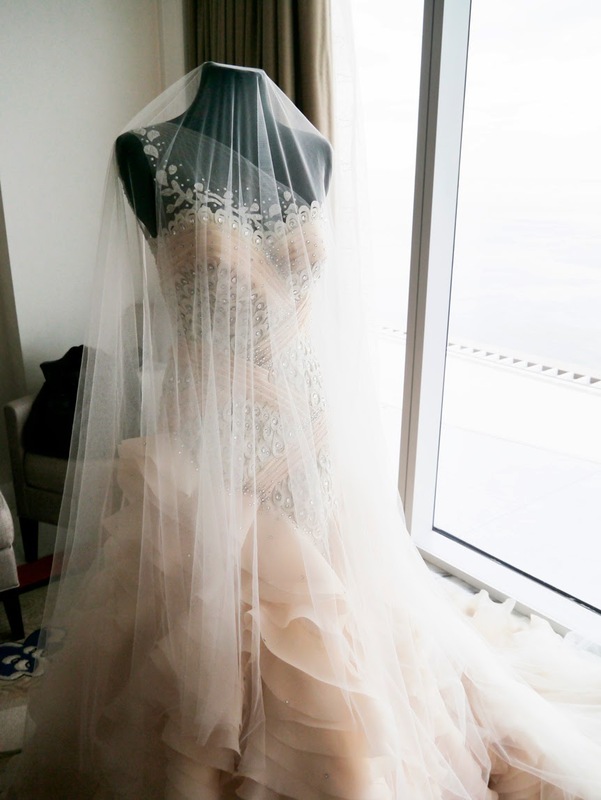 Her dress was even more amazing! She wore a couture gown lovingly designed and created by the very creative and talented Filipino fashion designer, Paul Herrera. 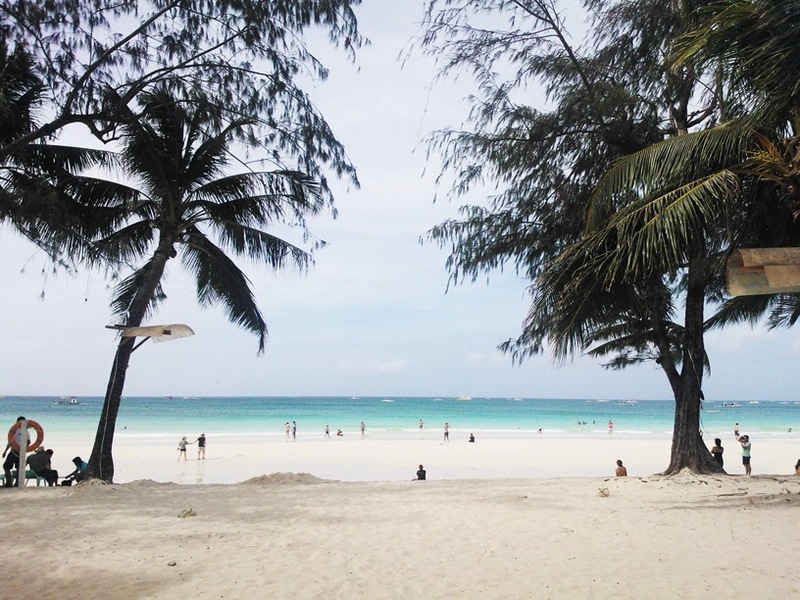 After the wedding we went to Boracay a small island famous for it's white sandy beaches and clear blue/turquoise water. To get there, you take a short plane ride followed by a ferry. Get ready for some chop! Beautiful as it is, it gets really annoying when you're trying to relax and are constantly bombarded by hawkers selling you boat rides, bottle diving, para sailing trips etc. Though they were very polite, they were also very persistent by the numbers. I guess that's the price you pay for going to a touristic spot. 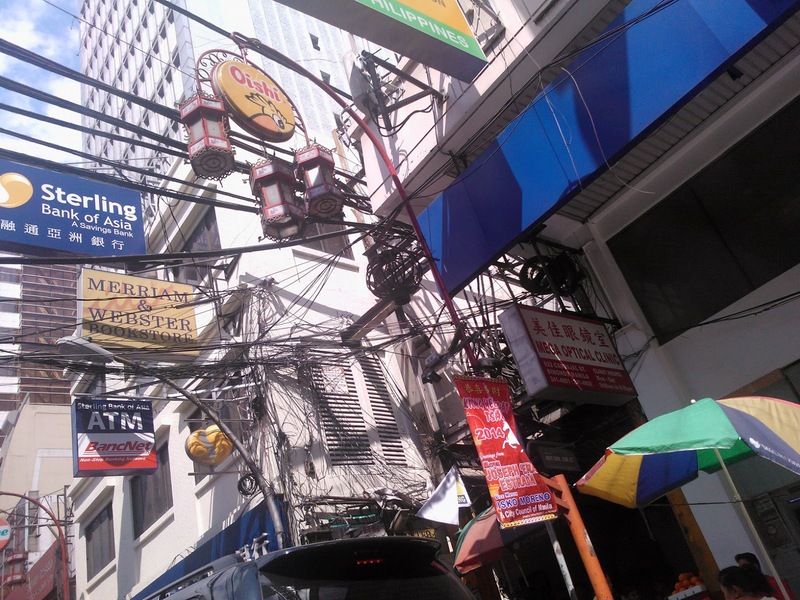 Hawkers, stray dogs and stray cats were constantly around the area. 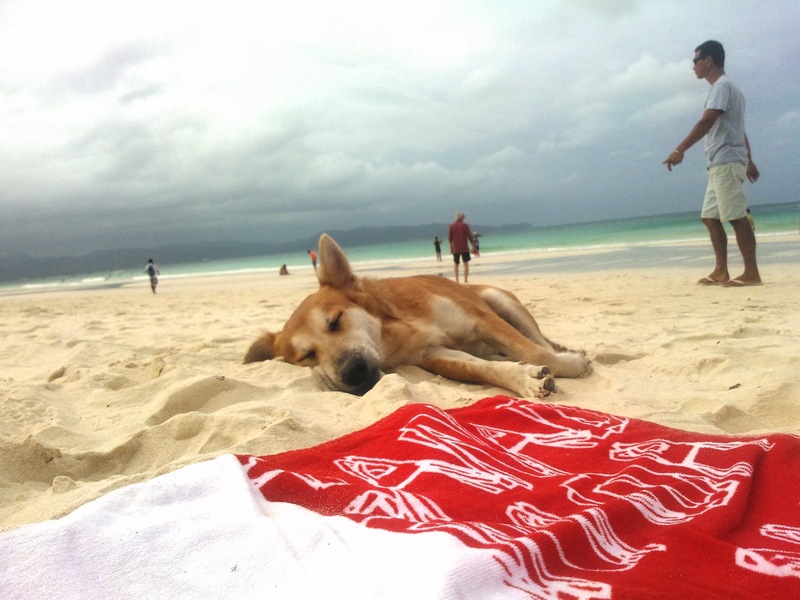 This cute dog decided to adopt us while we lounging around. Adorable! 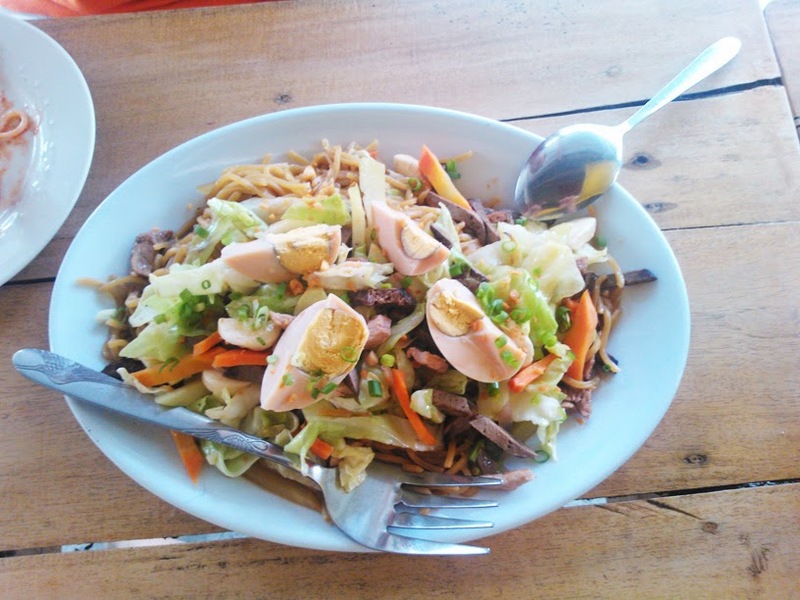 Food, although cheap, starts to get pretty pricey if you constantly eat at D*Mall (shopping area in Boracay). 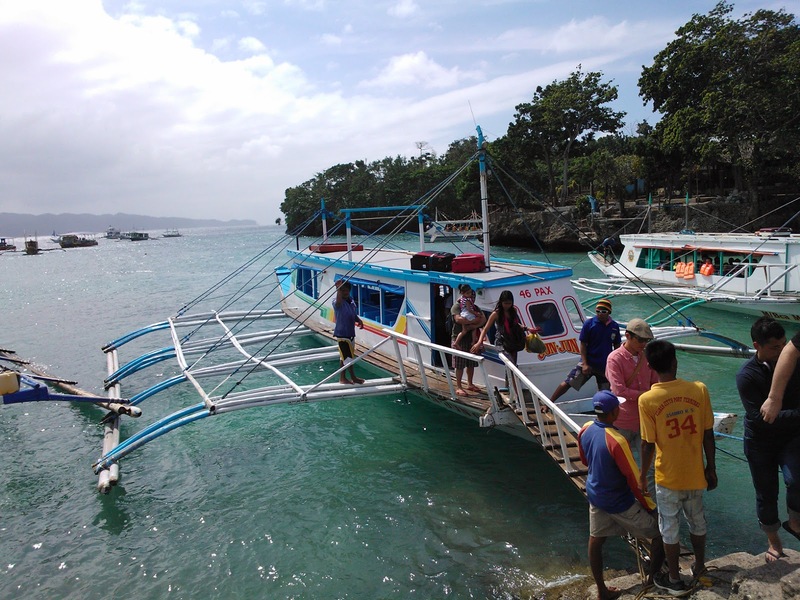 So we decided to venture off to a more local/low cost area of the island. I think we preferred this over the over prices/touristy areas that take over the island. 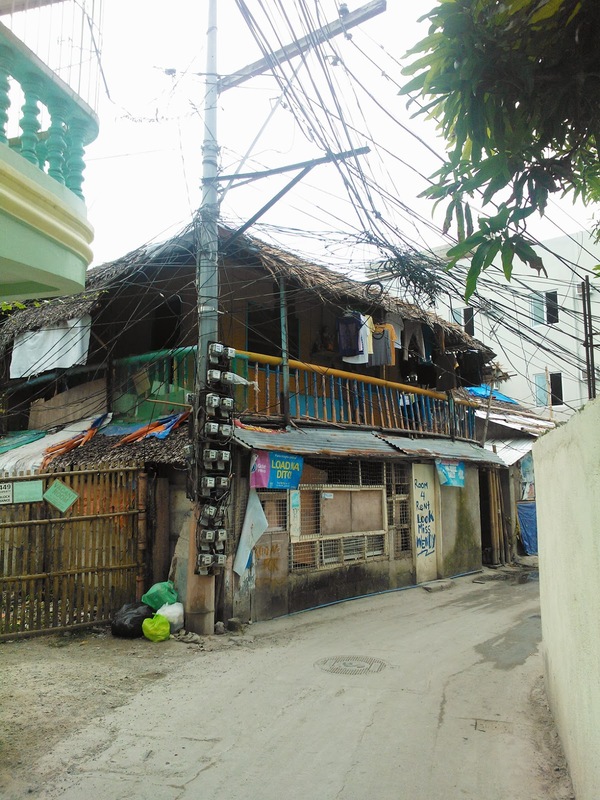 I'm very fascinated with all the wires and water meters. 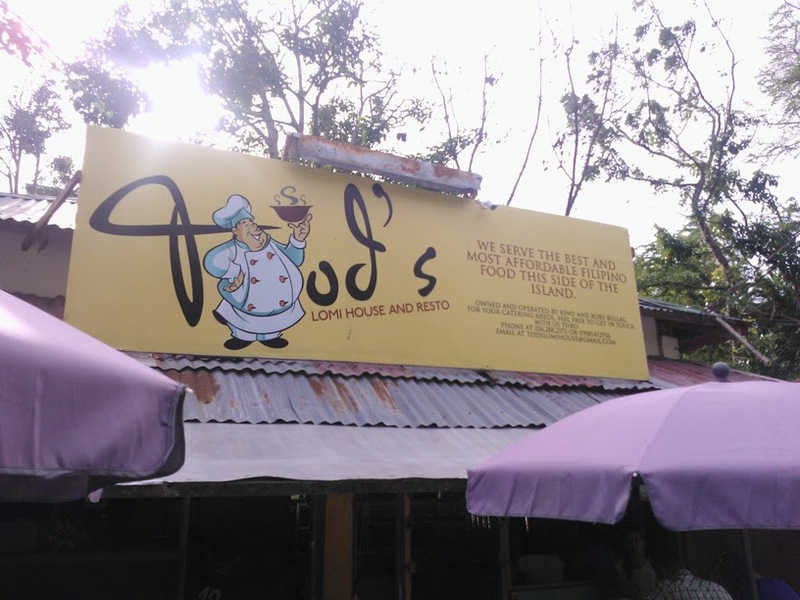 We had lunch at Tod's Lomi house which we stumbled onto during our wanderings. Food was excellent, cheap with generous portions! 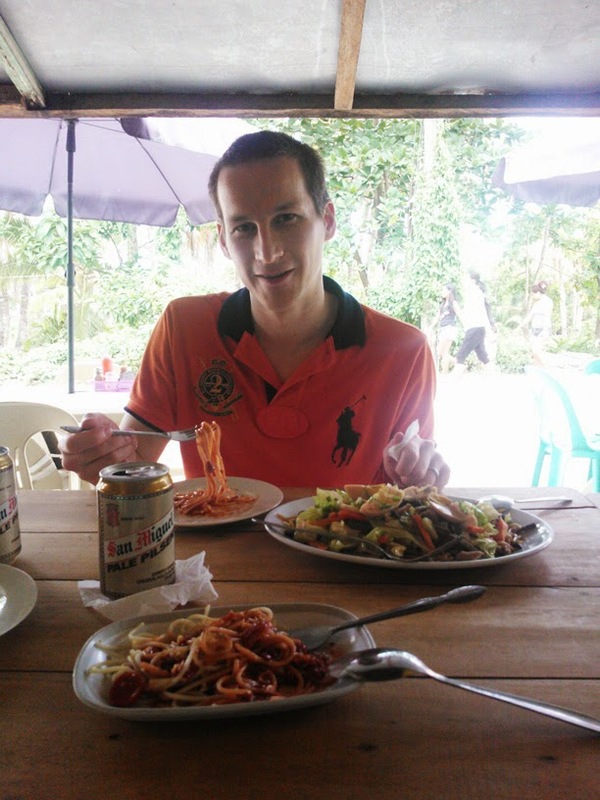 We had pancit Shanghai (noodle dish), Filipino style spaghetti with San Miguel beers. 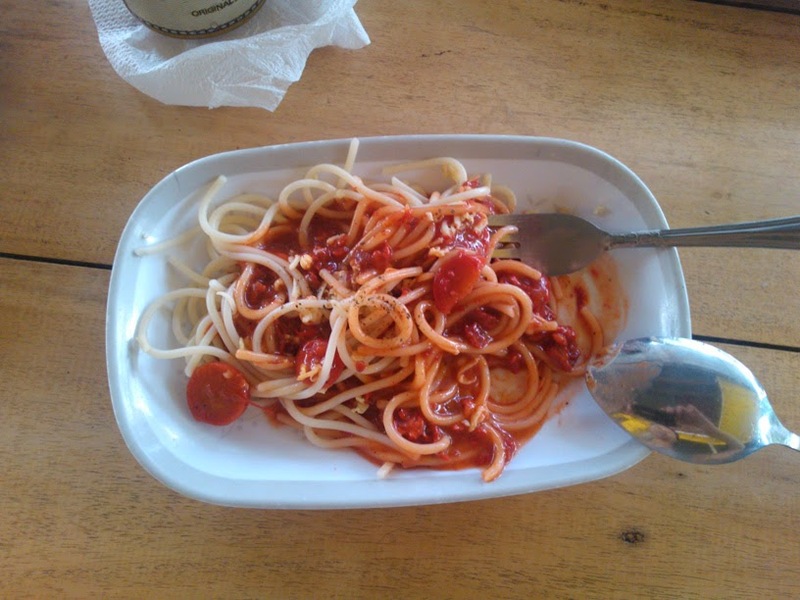 Filipino style spaghetti - the sauce it a bit sweeter and it comes with hot dogs!! MMMMM... brings me back to my childhood. The meal + drinks was just under 300 pesos with is under 5 Euros. The average dish prices in D*Mall starts at 300 pesos. 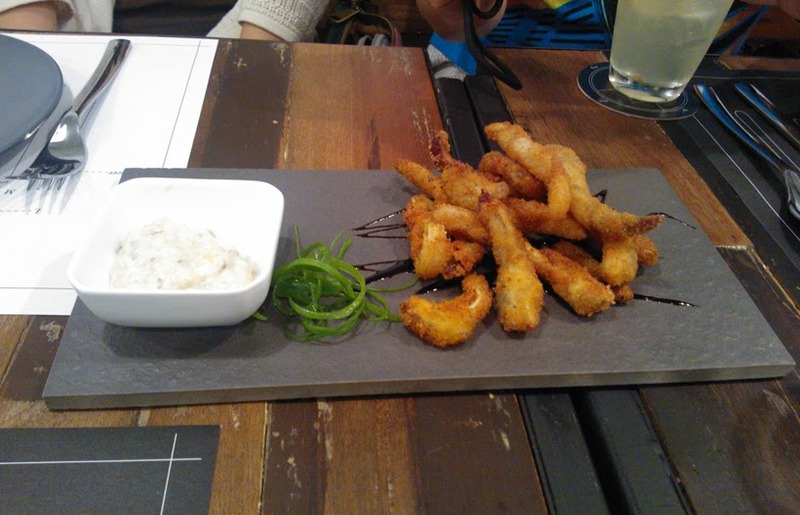 We returned to Manila and headed out to Detalle Bar and Kitchen. In hindsight I should have taken more photos of the place and the food rather than just stuffing my face. 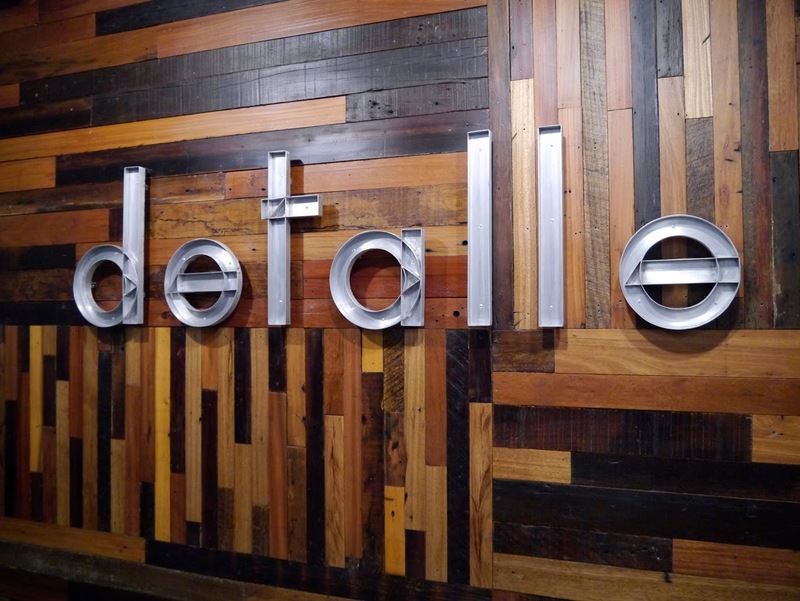 Check out Tales from the Tummy who has done a much better job than I have in capturing the essence and delicious food of Detalle Bar and Kitchen. Awesome and creative food in up-cycled iso containers? Yes please! The interior of the resto is what the hubster and I have envisioned in our future home. Industrial with creative use of up-cycled materials mixed with warm woods, concrete and metal. The food... was NOMS! We essentially tried almost everything on the menu shared with about 20 of us around the table. The hubster had the very tasty D Burger (300 g patty with blue cheese, arugula, bacon jam and aioli) cooked to perfection and I had the Braised Pork Sandwich with sour dough bread, apple jam without the fried egg . The pizzas, pastas, salads and the rest of the appetizers were also awesome! After dinner we spent the rest of the evening drinking cocktails on the rooftop bar. Next up: what do you do when you're stuck in traffic? Take pictures of you stuck in traffic. Truly... exciting stuff. All content is © by Shari Heikkila. All rights reserved. . Travel theme. Powered by Blogger.